These Ju-Jitsu posts are happening more quickly than I’d imagined! 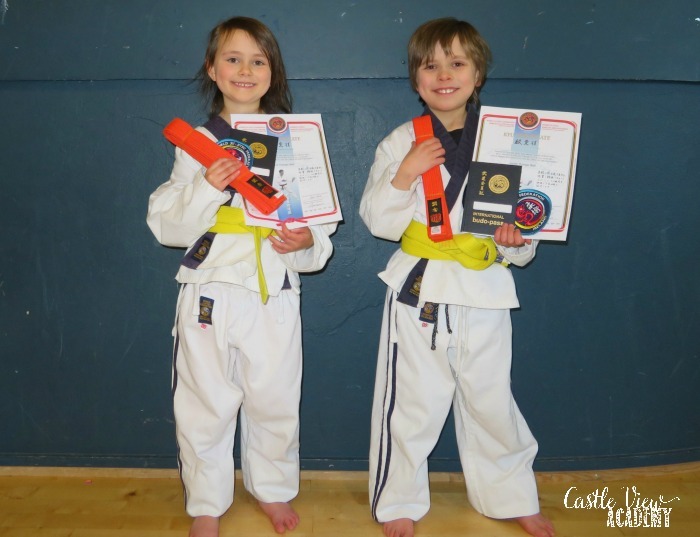 Tristan and Kallista only earned their yellow belts in December and two weeks ago they earned their orange belts already. They’ve been training hard and Tristan’s been helping me with a printable project as part of his Japanese terminology, which we’ll share with you when it’s completed. 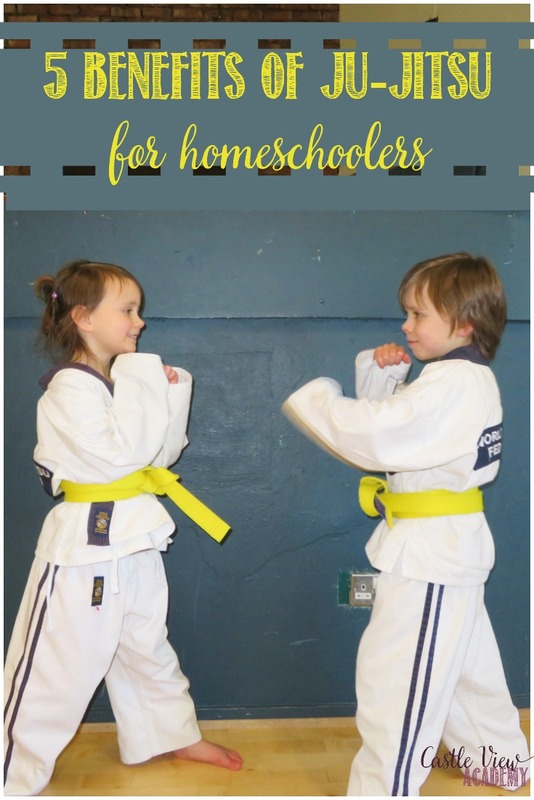 This time I thought I would share with you some of the benefits of Ju-Jitsu for homeschoolers. This post may contain affiliate links through which I may earn a small commission. 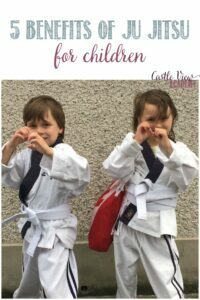 Because we do many reviews and have different things going on (such as the Tiny Life project), we tend to bounce around at times from one thing to another, but the Ju-Jitsu classes have been consistent each week, even during holidays. 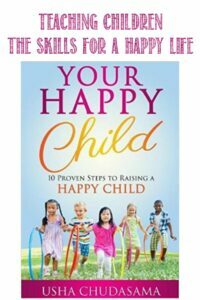 The children are learning that some things aren’t just done for a few weeks or months, but are on-going and long term. A mix of flexibility and consistency is a good thing and will help them for the work world in the future. The children are learning a class from someone who is not their parents. 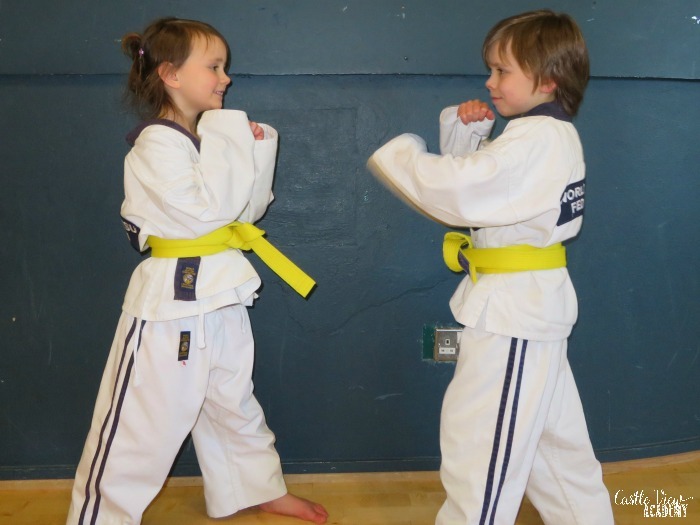 Their skills are assessed by their sensei and officials. They are learning a little about how life outside of home education works. It’s a bit about conformity and having to do things in a particular way. Of course they knew how to take turns, stand in line, and hold up their hand if they know an answer, but relay races were a new concept for them. They are learning that different people teach in different ways, too, when sensei is away and another sensei teaches the class. 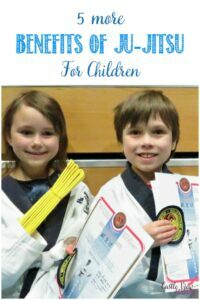 Of course, one of the biggest things to come from Ju-Jitsu are the skills that the children are learning. Kicking, blocking, punching, grappling, balance and coordination. These are all excellent skills to have in life. A funny story that I’ll add in here is that about 3 weeks ago the children and I were walking home and passed by a yard with a tall fence and they didn’t realise there was someone on the other side of it. He dropped a large back of something and it made a loud, sudden clang and startled them. I was walking behind the children and Tristan’s immediate response to this was to jump into ‘fighting stance’ and be ready for action if needed. It was interesting to see that his training had kicked in and he didn’t freeze. Because we home educate, our children don’t have other kids around during the day to hang out with. However, they are making friends at Ju-Jitsu and have hung out together during the summer when we have happened to be at the beach at the same time, or when they see each other at the library. These children wouldn’t be in the same class at school, but they’re gaining friendship through similar interests, which is how things work best in life. My children are learning some Japanese vocabulary (yeah! ), as well as learning a little human anatomy. They are tested on this as well. To help them along, I have created a vocabulary word wall for them, but they must remember these on their own. Learning the proper names for human bones is something I didn’t do until taking a pre-med class in university! Finally, there is a purpose for it. Tristan is picking things up really quickly in class (except jumping jacks), and he guides his little sister along expertly when she needs a little extra help. At Ju-Jitsu he does this in a way different from when he is at home. He is ultra-encouraging and patient. 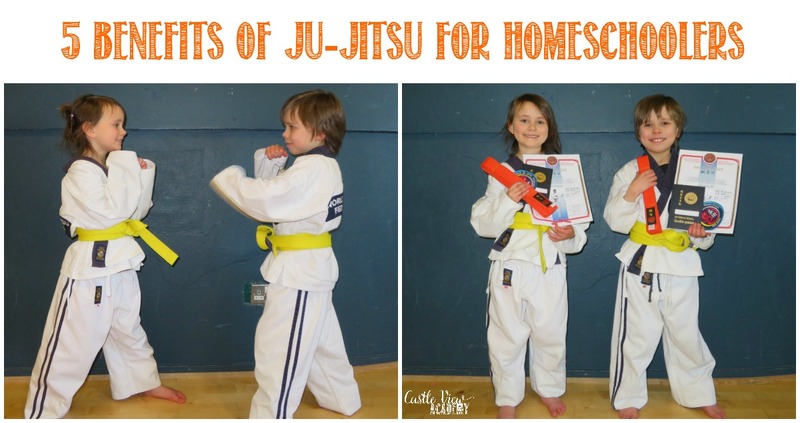 Since he’s has his white belt, he’s also helped others along during class as well. I can really see him in a coaching role in the future.